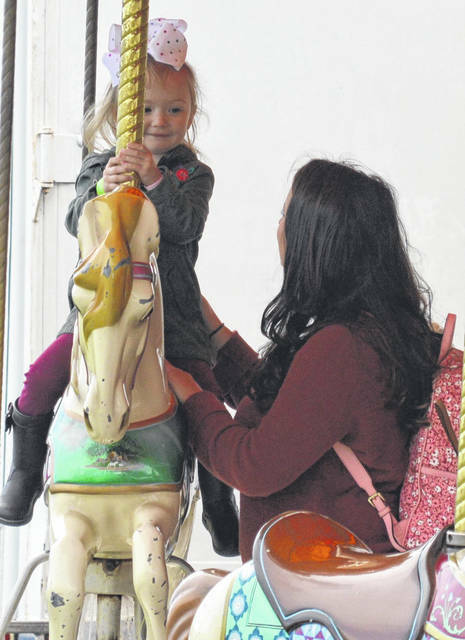 One young girl and woman share a quiet moment together. 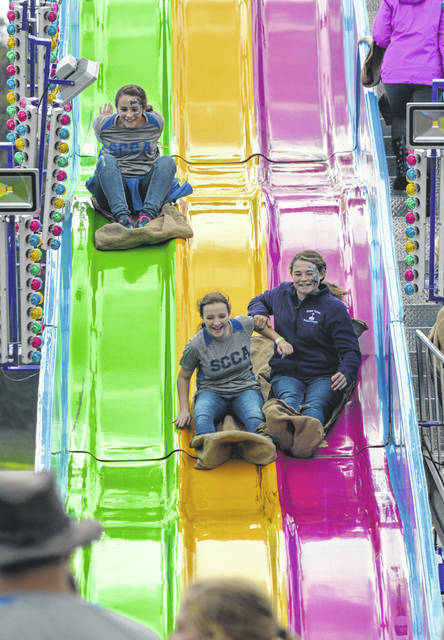 Friends slide to victory as they race one another. 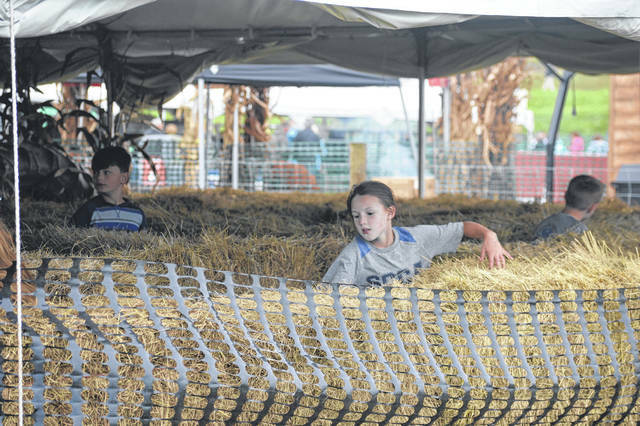 Youth race through a straw bale maze. 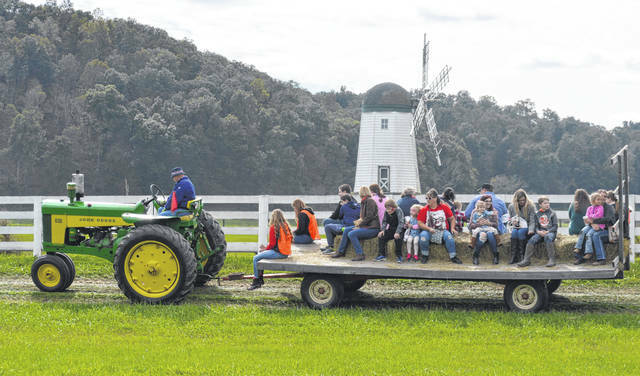 Hay tractor rides are a common sight in the fall season of southeast Ohio. 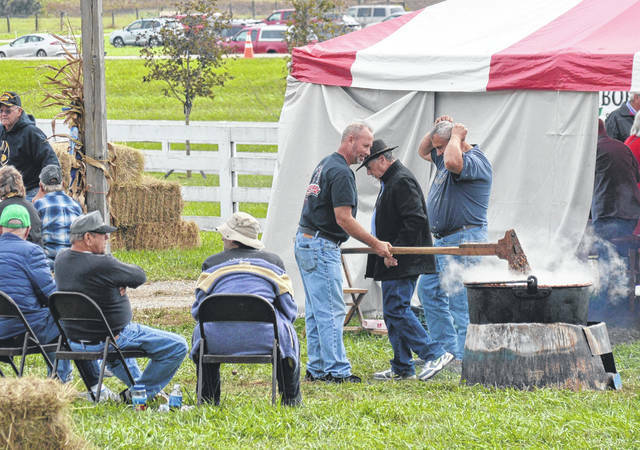 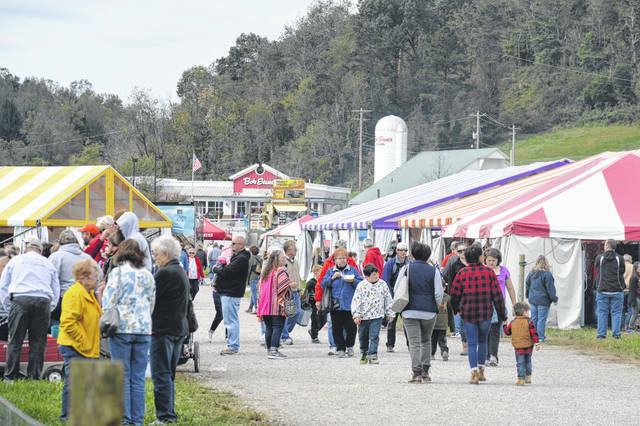 Thousands come to the Bob Evans Farm Festival every year. 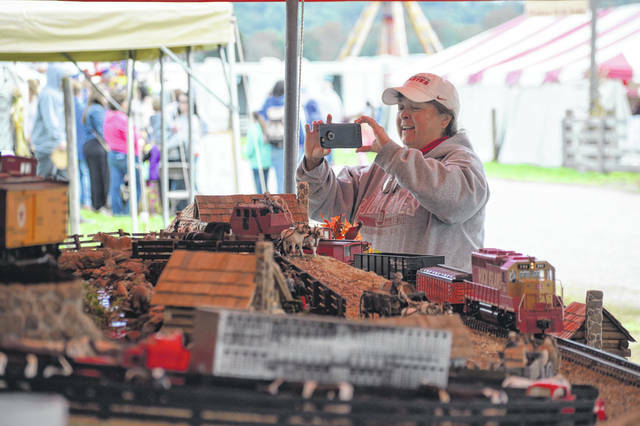 One woman takes a short smartphone video of model trains and a village. 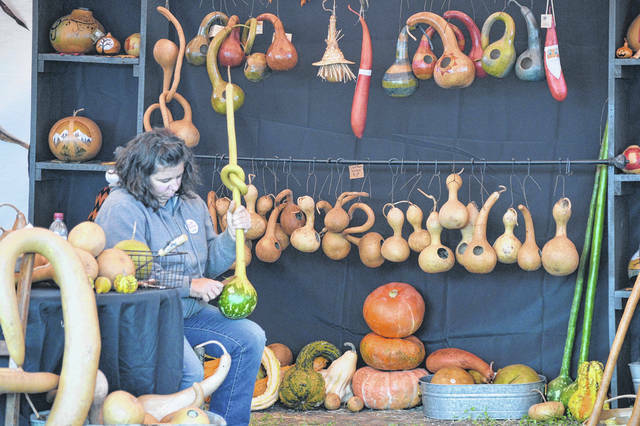 One woman practices her artistry skills on gourds. 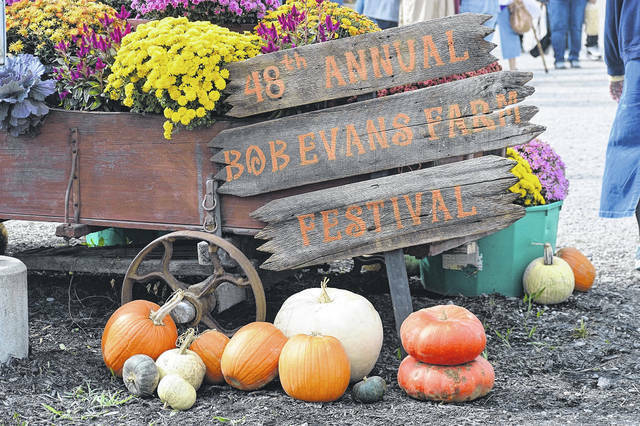 Welcome to the 48th annual Bob Evans Farm Festival. 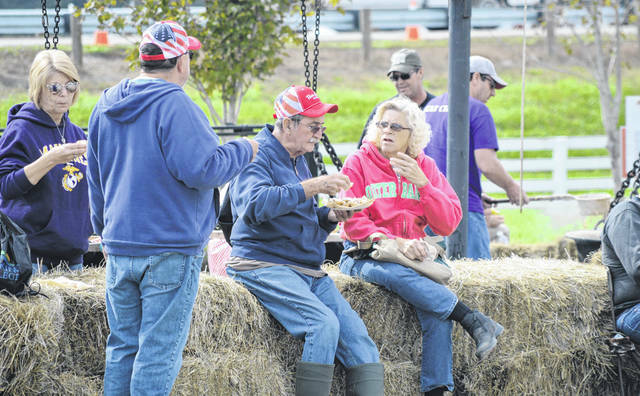 At the heart of every farm are its meals and those who eat them. 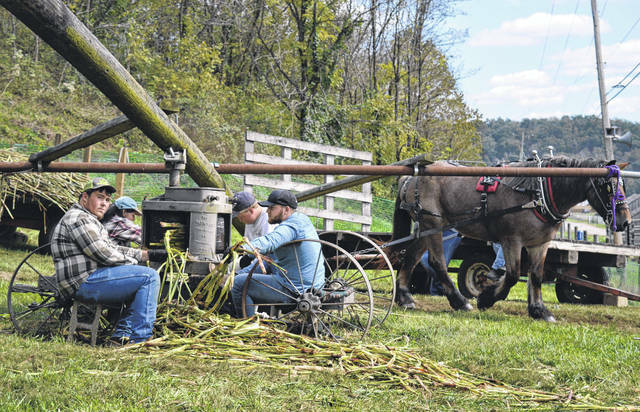 A horse winds about workers as they grind plant material for sorghum. 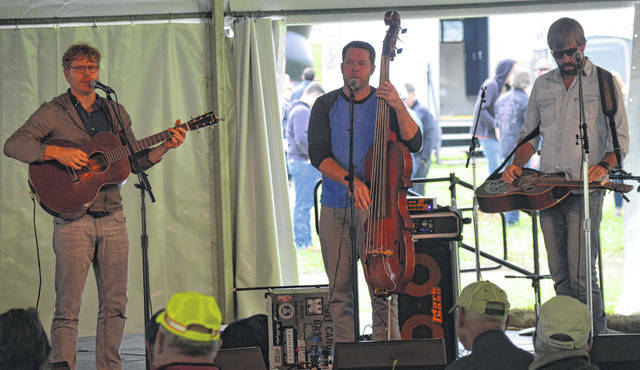 Bob Evans Farm Festival brings a mixture of blue grass and folk tunes to the farm. 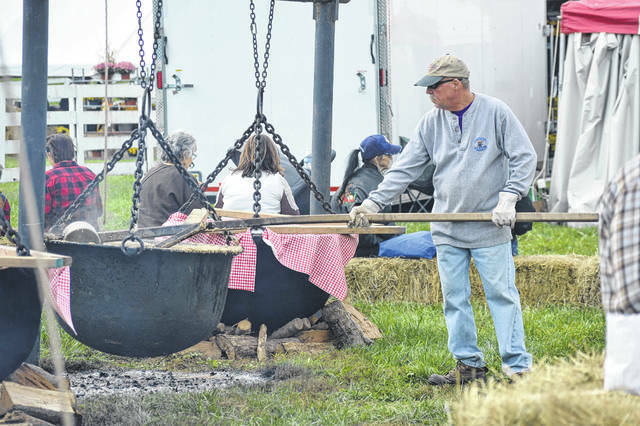 Visitors and workers watch as apple butter is made. 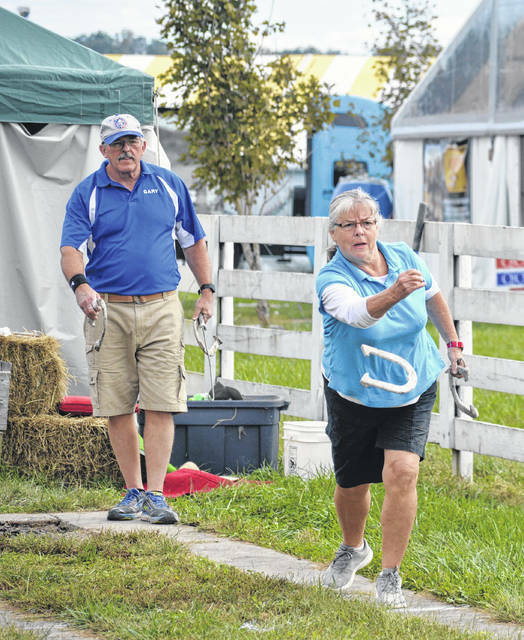 A woman shows off her horseshoe throwing skills. 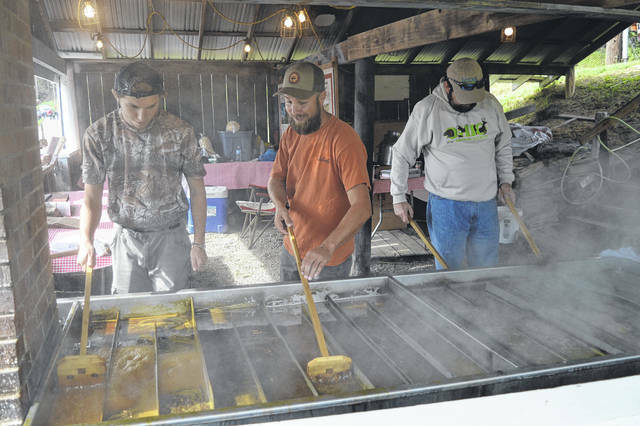 Baked beans have been a favorite Appalachian food dating well back to the American Civil War. 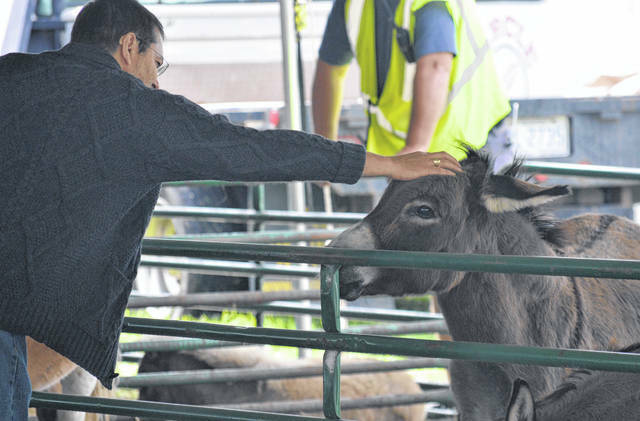 Farm animals received some friendly pats from visitors to the farm.